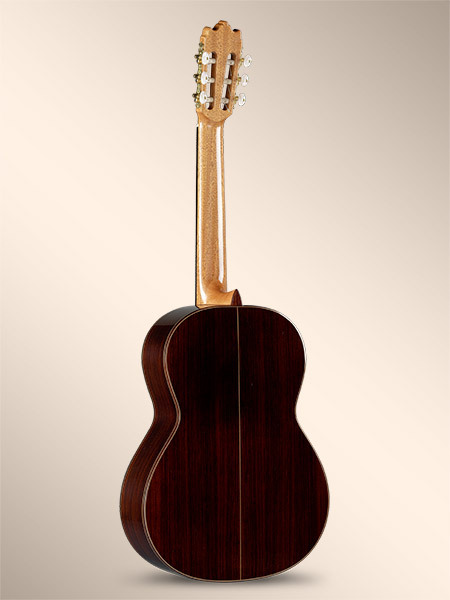 The Alhambra 4P has been one of the best sellers for Alhambra guitars for decades. For anyone that don’t want to spend a fortune in a guitar but wants a very decent guitar for studying and playing, the Alhambra 4P has always been the intelligent option. 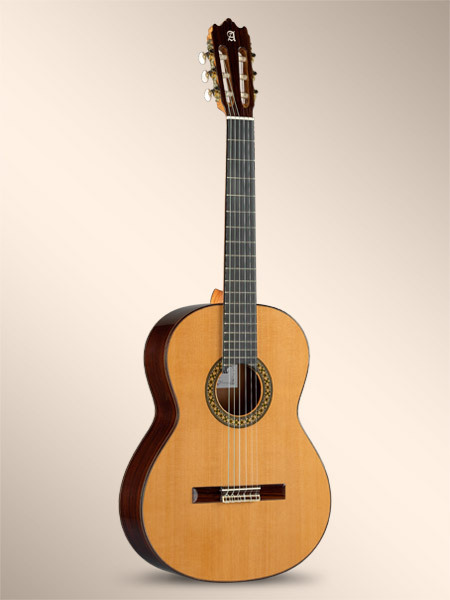 It is a very well balanced classical guitar with solid cedar or spruce top and laminated rosewood back and sides. The feeling when you hold and play the 4P is that you are actually playing a more expensive instrument. 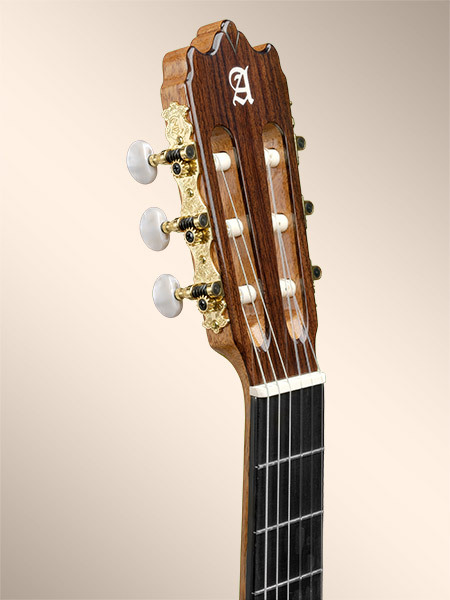 The volume in the Alhambra 4P is quite surprising and the detailed sound doesn’t correspond to the price of the guitar. 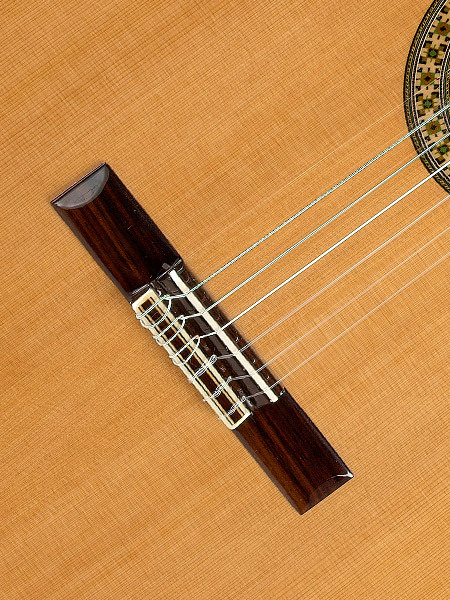 I know that in some countries the Alhambra 4P is not very affordable and that is probably because it can compete with much more expensive guitars in finishing and sound. The process of varnishing the Alhambra 4P takes weeks and that shows you how seriously Alhambra care about their guitars and explain the beautiful detailed overall finish of the guitar. Another example of the quality in every detail is the ebony fingerboard. At this price range it’s a luxury to have an ebony fingerboard in this guitar. If you add a fantastic fret work you end up having a very professional guitar for a bargain price. Where to buy it? Well, you can always go to your local dealer if they have it in stock or you can order it directly from Spain with the choice of cedar top or spruce top or even standard or lefty option at Guitar From Spain. It will be served to you freshly made from Alhambra in few days and I’m sure you will save quite a bit of money. 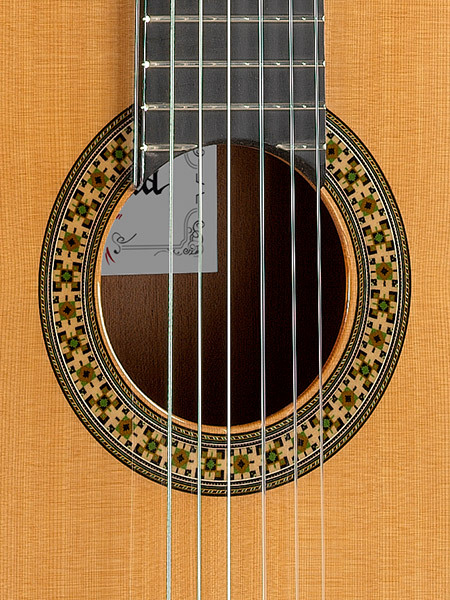 Posted in Acoustic Guitars, classical guitar music, Classical guitars, electro classical guitars, electroacoustic guitars, flamenco electric guitars, Flamenco guitar music, Flamenco guitars, flamenco instruments, flamenco music, guitar, Guitar for beginners, guitar music, Guitar players, musical instruments and tagged alhambra, alhambra 4p, Alhambra 4p classical guitar, alhambra guitars, alhambra guitars france, alhambra guitars uk, alhambra4p opinion, alhambra4p review, Arts, best classical guitar, best price alhambra 4p, buy alhambra 4p, buy spanish guitar, classical guitar, ebony fingerboard, flamenco guitar, fret work, Guitar, guitar alhambra 4p, how to buy spanish guitar, intelligent option, spanish guitar, Spanish guitar making. Bookmark the permalink.